The time is nearly here! Frankly, I initially thought Tokyo Idol Festival was the first weekend of September so I thought I’d have a bit more time to work on TIF posts. But, while I still have a ton of groups I’d love to profile and cover, here are some recommendations for the lucky people who are planning on going to TIF. Please note – I haven’t seen most of these groups perform live so I can’t really speak to the live experience, and the TIF experience may vary even further (as a festival). That said, these are some of my favorites that are going to Tokyo Idol Festival! I feel like Idol Renaissance goes under the radar for a lot of foreign fans but they are absolutely a group I need to follow more and you should too. While the vast majority of their music is covers (their first original song is coming out this year) they choose great songs and their performances are solid. Their album is now on American Spotify and I’ve been listening to it a lot lately – both YOU and Funny Bunny are two favorites of mine. They’re a remarkably solid group and one that deserves more attention. This is almost 100% a recommended group because their latest single, Upper Disco, is easily one of my favorite songs of 2017 and they are almost certainly going to perform it at TIF. But Up Up Girls is a solid group with members who have been at it for years and years and some really solid music in their discography. While they aren’t a group I follow all that much they are a group that reliably puts out some new great music every year and has solid performances. Up Up Girls (2) is also an option if you want newer members performing Up Up Girls songs (and probably smaller crowds). This group is such an unexpected surprise of my TIF posts – their music is uniformly interesting, dreamy and unlike most other idol groups. I have been listening to their music since discovering them and have been really enjoying amiinA as an unusual group. I’d definitely check out their music before seeing amiinA because I feel like if you’re not into the music you may not be into them, but I think they have some really solid stuff. While S*Spicy doesn’t put out that much music and isn’t too active, they are a really fun group with a great vibe. The older sister unit with members in their mid-late 20s, S*Spicy is goofy and entertaining. I wish they were active and promoted more, but if the idea of an older group with a very Stardust sensibility then I’d recommend S*Spicy. While some people would argue that Osaka Shunkashuto went downhill after they got bigger, I respectfully disagree. While songs like C’Mon and Chameleon Shoujo are the best the group has been, this year’s New Me is just fantastic and shows how great they’ve gotten. The main vocalist Maina is a powerhouse and the other members are great dancers/performers. If Osaka Shunkashuto isn’t on your radar it very much should be. KAMO ga Negi wo Shotte kuru!! This is another surprise. They have some excellent music they perform and are completely energetic. If you’re looking for an energetic fun group that might have a smlaler crowd then I’d give KAMO ga Negi wo Shotte kuru!! a shot. Kikka’s always had a solid solo career with some great music and great performances, but her latest work,specifically her music written by Oomori Seiko, has been fantastic. Yuu seems to be going more towards an indie sound and presentation, and if you know any of Oomori Seiko’s music you’ll know if you should be interested in Kikka. But I think she’s doing some great stuff and would love to see more from Kikka. Yeah this is going to be a tough act to actually go see if you’re at TIF. But Keyakizaka46 is easily my favorite 46/48 group right now and they’re backing it up with some great music – Silent Majority took the idol world by storm last year and their singles have all been great, with this year’s Fukyouwaon being pretty phenomenal. With their popularity actually getting to see Keyakizaka46 might be a tough ask, but if you’re thinking of seeing one of the 46/48 groups I’d go with Keyakizaka46. Yeah OK, this recommendation is painfully obvious. But Aarin is genuinely a wonderful person and performer AND is starting off her solo career this year with her first solo single. The entirety of her solo concert from last year is really great performances and I would expect nothing less from her TIF performance. Aarin has great stage presence and performing skills and should be really fun to see at TIF. 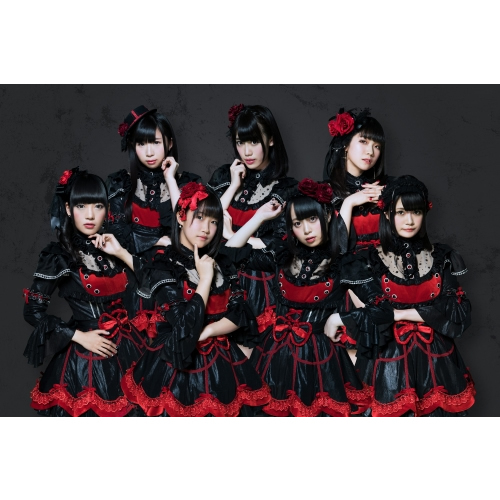 GEM is one of my favorite of the Avex idol groups – while opinions might vary on which Avex Idol Street group you like best, it’s pretty undeniable that they have strong performances and production value. GEM has a lot of personality and some great music – their single from 2017 “Sugar Baby,” which is almost certainly guaranteed to be performed at this year’s TIF, is addictive and wonderful. 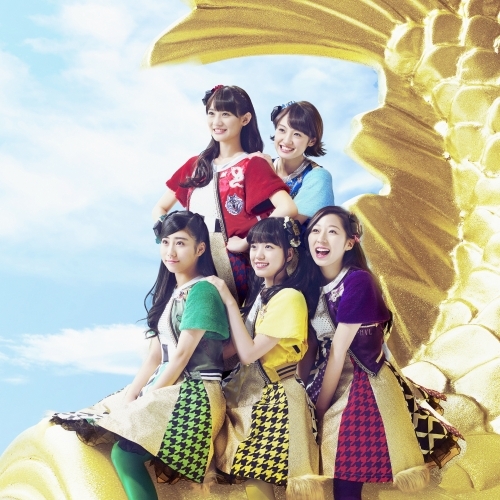 While following Ebichu has been difficult for me in the wake of Matsuno Rina’s passing, they are undeniably a great group – they have some great performances and phenomenal music – their music is often not necessarily traditional idol music but well written and well produced. 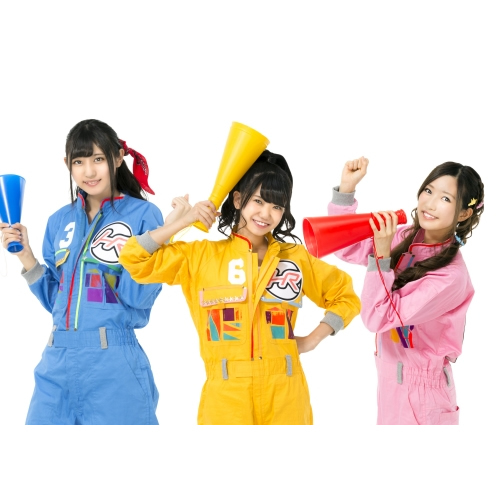 Ebichu should definitely be a group you follow at TIF and beyond. Yeah I had no idea I’d be interested in a baseball themed group but here we are. Playballs is a new interest of mine but they are incredibly fun, have some great music and seem like a fun group to see live. Their 2016 song Diving Catch has been one of my most listened to songs of this year, so I wouldn’t miss the chance to see them live at TIF. 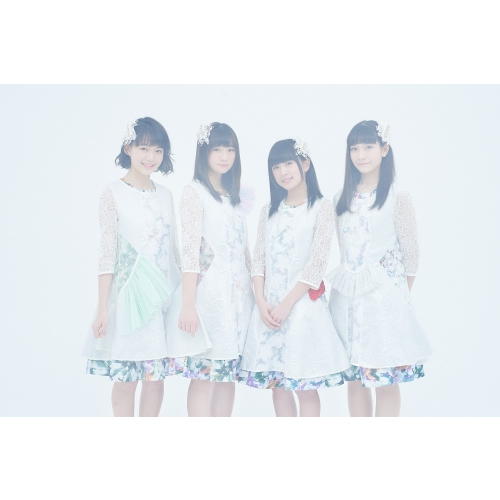 Sora tob Sakana is one of the groups I’d like to follow most in the future – they have some really interesting music I’d compare to amiinA’s on this list, in a way – it’s very unusual music for idols and tends to have more of an indie rock / post-rock feel to it. The group often performs with a live band, which is something I love, so if you’re looking for a group with interesting music that doesn’t have an idolly feel I’d check out Sora tob Sakana. Yes, another Stardust recommendation. Takoyaki Rainbow is one of the many Stardust promotion groups, but this time they’ve made their major debut with Avex which gives them some great production value. Quite a few of their songs have been written by Maeyamada Kenichi, my favorite songwriter, and they have a ton of energy in their live performances. Takoniji is a group that combines fun and great music so they are definitely a group that deserves attention. 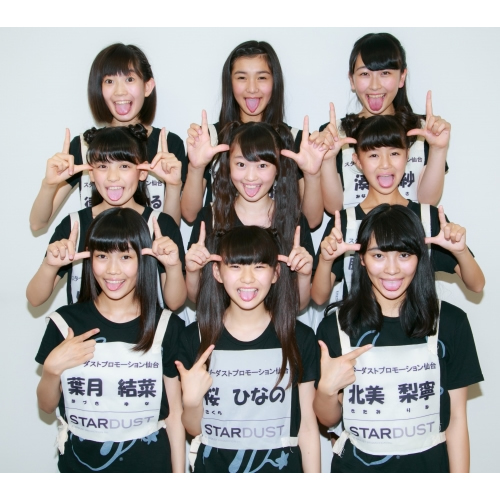 Another Stardust group, but of course I’m going to recommend Team Syachihoko. They have excellent music, members, and are incredibly fun to watch. They are an energetic group that puts on a really great show and my favorite idol group. Yes, Chubbiness is Avex’s chubby group. While I wish that more idol groups would have some body diversity, I know that’s not necessarily something that’s going to happen. That said, Chubbiness is a whole lot of fun. Their debut song Manmadeiya is really addicting and they have a lot of fun idol songs. I wish Avex would promote Chubbiness more because they’ve assembled a fun group of girls who are fun to follow. If you told me this was the year I was going to become a Tsubaki Factory fan I would have probably laughed at you. However, after two stellar singles and a major debut I am hooked. Their singles this year have been really great, the members are all really fun, and this seems like a great group to follow. They’re still a relatively new group but that’s also fun too – it’s exciting to see where Tsubaki Factory goes. They are on a great path, though, and are making immense progress over a very short amount of time. This group is almost 100% on this list because their 4th single, UG Stepper feat. MIZ, is one of my most listened songs of the year. But Tsuyogari Sensation seems like a great group with some great rock idol songs and some powerful vocals. UG Stepper is my favorite of their songs, but with a little publicity and some more polish Tsuyogari Sensation could go places. Niji no Conquistador has become one of my favorite idol groups over the past couple of years. I think they hit a really great sweet spot where they have interesting songs, are a bit weird, have energetic performances and also do fun idol songs. Nijicon is a pretty indispensable group for me and one you should be following if you aren’t already – they are such a fun group that I know they’ll have a great showing at TIF. OK, yes, I am recommending yet another Stardust group, but Batten Showjo Tai fits in a niche I had no idea I was interested in – ska idol pop. Quite a bit of their music, including the wonderful Osshoi, is ska-inspired and it is just delightful. Aside from that they have the energetic performances and quality music Stardust has come to stand for. Batten Showjo Tai is still fairly new but have made a splash with their major debut singles and are very much worthwhile. In many ways Band Ja naimon is essentially another Dempagumi.inc but really more Dempagumi.inc isn’t a bad thing. Band Ja Naimon has some great music and great, energetic performers. I definitely prefer Dempagumi.inc but Band Ja Naimon has become a solid group in their own right, worthy of attention on their own. They’re a group I want to follow more and one I’d recommend checking out. I discovered Philosophy no Dance because someone sent me links on twitter saying they thought I’d like it. I don’t know if I just have super obvious taste but Philosophy no Dance is super fun – they have some great, funky retro music that is just a lot of fun to listen to – I’m After Time is really fantastic and definitely one of my favorite songs of 2016. They’re a group I pay more attention to the music to than anything else, but if you’re into music like Especia or any other group with retro sound I’d check out Philosophy no Dance. RYUTist is a local Niigata based group which has some great music and even better performances. They’re really a music-focused group more than anything else. I was lucky enough to see them when they came to the US in 2014 and their performances blew me away. They are an incredibly sweet group and one I feel very lucky to have met and seen in person – I definitely recommend RYUTist. 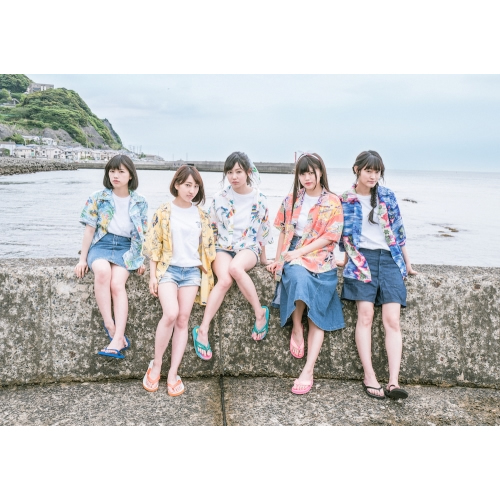 ‘While I’ve always been more of a Rhymeberry fan when it comes to idol rap, Lyrical School is a great group (featuring a former member of Rhymeberry!) that’s more active and tends to be a bit more polished. They did a single with Idol Renaissance (a cover of Base Ball Bear’s The Cut) that is one of my favorite things from this year so far. Run and Run is also one of my favorite recent idol songs. 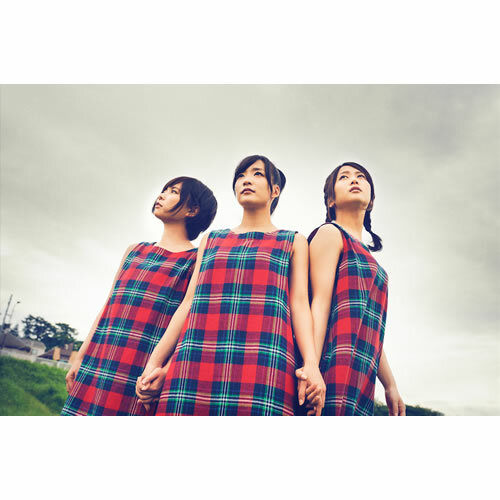 Lyrical School is really good at what they do, which is idol rap, so if that’s something you’re interested in then you should follow Lyrical School. The World Standard is the platonic ideal of cutesy idol pop. Their music is upbeat, cheerful, but also often strange and bizarre. They really lean into the cutesy side of being idols. If you’re into that sort of thing, you will like Wasuta. Part of Avex’s Idol Street, they have well produced music and videos, and specialize in cute but strange things. They are a bit off the wall at times which is why they are a great group. While this is a bit of an abridged list, these are the groups I would definitely try to make time to see if I was lucky enough to be going to TIF. Apologies if your favorite group isn’t on this list – there are plenty of groups I thought about putting on (LinQ, HR, i*Ris, etc) that I chose not to. There are a lot of other groups that I just don’t know about, so if you’re at TIF I urge you to explore the indie idols and groups that are present. If you’re into alt/anti-idols, I’d recommend checking out Gang Parade and BiSH, though Gang Parade and BiS have gotten kicked out of TIF before so these audiences can get a bit rowdy. There are a ton of great groups that I didn’t mention, so let me know if there’s a group I have to know about that’s going to TIF (or one I should cover on my blog sometime). KAMO ga Negi wo Shotte kuru is a five member unit based in Harajuku. Their aim is to be both cute and energetic, and just by looking at this image I say they’re on the right track.Formed in 2016, KAMO ga Negi wo Shotte Kuru has several original songs but no singles as of yet, so hopefully they’ll put something out soon. Their songs have some notable songwriters, the most exciting to me being KOJI oba who cowrote Momoiro Clover’s Hashire and has written or arranged for Hangry & Angry, Hello!Project, Band Ja Naimon! and others. So while they’re very indies they have some good songwriters working with them. KAMO ga Negi wo Shotte Kuru seems just really fun. They have the Dempagumi.inc / The World Standard style of being just completely off the wall in terms of style and energy. Their music is fun and their performances are really exciting. I really hope that KAMO ga Negi goes places because I’d love to see what they could do. They are a really fun group with a surprisingly high level of music and performance, given how new and how indie they are. I definitely recommend checking them out if you like Dempagumi.inc, The World Standard, Band Ja Naimon or any other groups in that vein. Kikkawa Yuu (often styled as Kikkawa You) is a former Hello!Project trainee for several years after being a Morning Musume audition finalist. She performed as a part of Milky Way, the group for the Kirarin Revolution anime and was generally a fan favorite as a trainee. In 2010 she left Hello!Project and became a solo artist in 2011. Since then she’s been relatively active, putting out 3 studio albums, one cover album, one best of album and 11 singles over the years. While Kikka started off doing pretty standard idol fare (the excellent Konna Watashi de Yokattara being one of my favorite idol songs), she’s since moved on to doing more indie, experimental music. Hana, her single from 2015, is a whopping 17 minutes and 25 seconds, aiming to be the longest idol song ever written. Her two singles released since then, Ha wo Kuishibare and Sayonara Standard, were both written by singer songwriter Oomori Seiko, who has a definite style to her music. 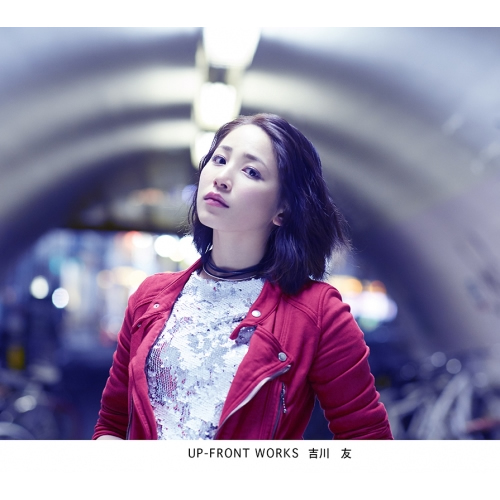 While her sales haven’t been astronomical (which is a shame), Kikka has a style all her own and it’s been really fun to see – I hope she continues the path she’s on because Kikkawa You is doing some really great stuff you should be paying attention to. Kimiiro Project is brand new – they made their debut on March 25 of 2017 so they’ve been around for just about four months. They’re so new they were just added to the TIF site and don’t have any real info about them. 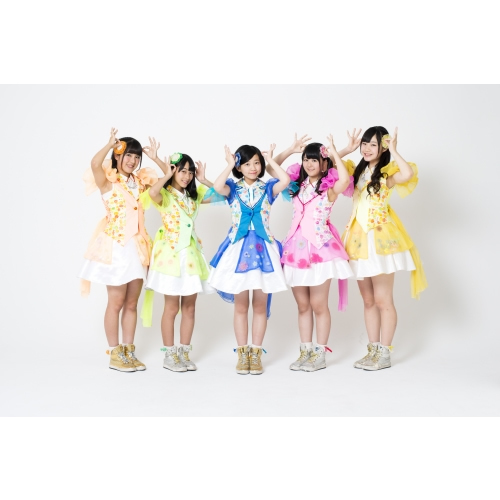 They’re doing their first solo live in August so things are moving pretty fast for Kimiiro Project- they’re also doing the idol festival circuit and won a space to perform at TIF. They have a YouTube page but there’s mostly only videos of introductions / solo videos of all the members. So if you like Kimiiro Project you should be able to learn about the individual members. Watching some of their live videos, they still feel really green and inexperienced. Which, to be fair, is expected after a group’s been around for only four months. All the members seem eager and energetic, which is fun to watch, but the vocals are pretty poor and the music is generic. It would be interesting to see a group like this after some training and some higher production values because I do like just how energetic they all seem – they’re just not there yet as performers. Gang Parade is a part of the big surge of anti-idol / alt-idol groups that have popped up in the wake of groups like BIS and BISH. Co-founded by one of the former BiS members Kamiya Saki (who’s interestingly enough temporarily back with BiS until September), Gang Parade is a group with many names – first they were Pla2me then PoP and now Gang Parade. It’s interesting to see them back at TIF – back in 2015 when they were still PoP they got kicked out of TIF for their lives getting too rowdy. I feel like at this point you know if you’re into the whole anti-idol / alternative idol scene or if you’re not – either it does something for you or it doesn’t. I kind of lie in the middle – I admire a lot of these groups for breaking the idol mold and want more groups to try this but the sound and the aesthetic of these groups is so far from what interests me. 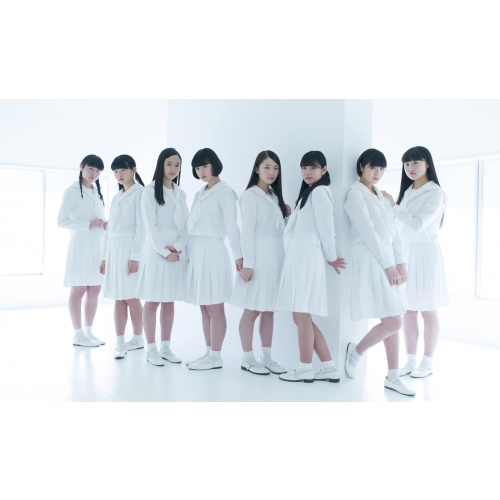 That said, Gang Parade might be the group that breaks through if you’re interested in this scene but are like me and don’t really gel with groups like BiS or BISH – a lot of their music seems straight up accessible. FOUL, a recent single, is very listenable, but Beyond the Mountain, their latest single, is genuinely fantastic and could very well end up one of my favorites of the year. If you’ve been thinking of getting into one of these groups but can’t get into something like BiS maybe give Gang Parade a shot. Boy oh boy I feel like it’d be hard to find a group that contrasted with Gang Parade more than Candy Zoo. Candy Zoo made their debut in 2013 and their name is to represent that they want their personality to be like candy but also want to be watched like a zoo – while i don’t know if a zoo is what I want to compare idols to, it’s a cute name. They also used to wear animal prints but I’m not sure if that’s obsolete now. I honestly wasn’t expecting much from a group like Candy Zoo based off of their name and image but I was pleasantly surprised – the song and video for their song Kesshou is surprisingly great. While the other songs I have heard from them aren’t quite as good as this latest single their other songs are solid and seem well-produced. The group overall seems fun and while I don’t think they’ll wow everyone I think if you like cute groups you might be pleasantly surprised by Candy Zoo. Girls’ Symphony (as I am going to call them because the Japanese part of their name literally means Girls’ Symphony) is a unit that was formed in 2015 but debuted in early 2016. Their aim is to have seven members who are all active doing their own thing (gravure, modelling, etc) but then come together to be in Girls Symphony. They put out their first and only single last year, Mahou wo Kakeru yo. Please note: There is a pretty popular Wake Up! Girls song that has the same name as this group, so if you search for this group make sure you aren’t actually checking out Wake Up! Girls. Girls’ Symphony doesn’t have a ton of stuff out yet, besides some concert videos, so they’re very new. 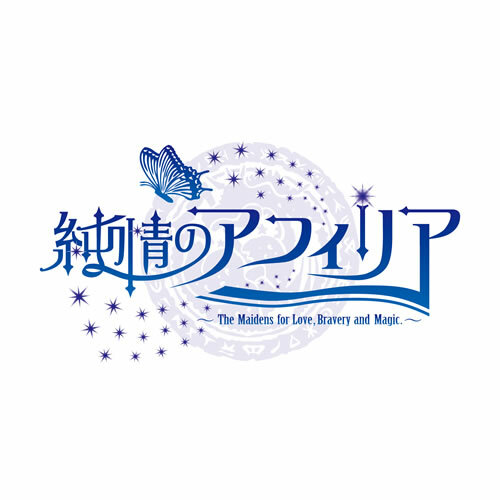 However, Mahou wo Kakeru yo is a good song and they cover some decent idol songs when they perform, such as NMB48’s Hoshizora no Caravan (one of my favorites). 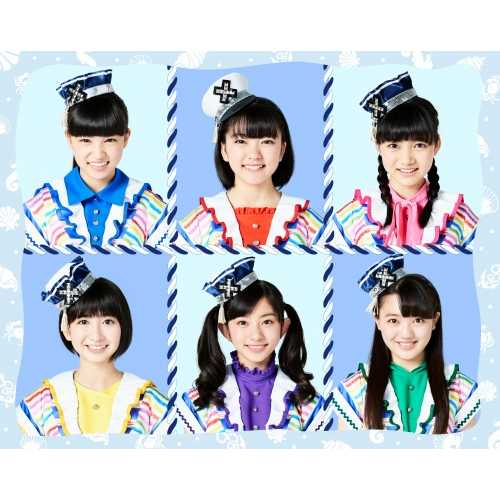 They have a really great classic idol appeal that might be a big appeal to some. If you’re looking for an idol group with a classic appeal / aesthetic I’d go with Idol Renaissance, but if you would prefer a group that does more idol songs then you might want to check out Girls Symphony. KATA☆CHU is a unit that was formed in 2016 with the theme of unrequited love, since the Kata in their name is kataomoi. So this unit’s goal is to support people who long for something or who have unrequited love. Since a lot of people go to idol music for comfort this is a very cute idea. KATA CHU also prides itself on having unique music that would be interesting to fans. That said, they don’t have very unique music, at least not from the songs I’ve listened to on YouTube. They have some decent songs but they’re pretty standard idol pop in construction and performance. If you like standard idol pop KATA CHU is a fun group still firmly in the indie idol phase, but that’s where they are – pretty normal. This is an office / company themed group formed in 2016 where the members aim to be cheerful, energetic and have high motivation. Each member has a “title” like if they were in a company, such as being the public relations department, human resources department, etc. and in general aims at office workers. This is a really cute gimmick,and I do wish that more idol groups would have themes like this, mostly as an office worker myself. Unfortunately, Hyper Motivation hasn’t put out any singles yet, but do have some videos on YouTube. While I like the concept I’m not just seeing it from Hyper Motivation – their energy level doesn’t seem to be that high in performances and while some of their music is solid it doesn’t seem to fit this theme. With more time and effort I could see Hyper Motivation become the group they say they are, and I do think there’s some potential here – none of the members are bad at what they’re doing. But for a group that prizes energy and motivation I’m not getting it from Hyper Motivation. 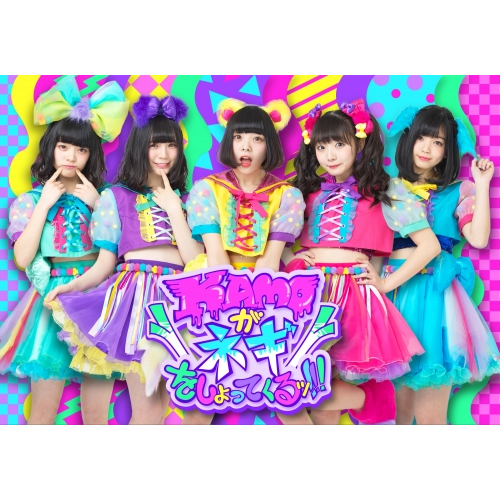 This is a five member unit based in Harajuku – their name has a few different meanings but KMYD, part of Kamiyado also stands for Kawaii Max Yell Dream, which is super generic idol phrasing but I kind of love it. They were formed in 2014 and have released 10 singles and one album since then, so they are a pretty active. That said, their first 8 singles all were limited to 500 copies so they’ve been very indie, though their most recent two singles are available for purchase online and are on a different label. I like Kamiyado – they are still very indies but they seem to be aiming to be an indie group in the vein of MomoClo or Dempagumi.inc. Their music isn’t at all polished but it’s fun and has promise. Despite the lack of polish the music and performances are really fun and I can see big things for Kamiyado if they keep this up. I’m going to try and follow them more in the future and you should check them out. 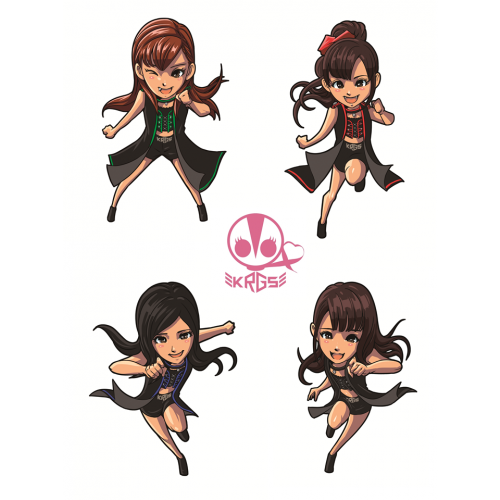 Kamen Rider Girls is the official girl group for the Kamen Rider tokusatsu series. Formed for Kamen Rider’s 40th anniversary in 2011, they perform theme songs for Kamen Rider series and things. Each member used to represent a protagonist from a Kamen Rider series, though for the past couple of years they’ve no longer done that. They’ve released several singles and are putting out a new album in August. I feel like this group really most likely depends on if you are a fan of tokusatsu / a fan of Kamen Rider. As someone who hasn’t watched that series I’m not sure if Kamen Rider Girls are for me, really, especially since so much of their activity centers around Kamen Rider. Their production is solid and professional – since they’re partially produced by Avex that is to be expected. They do have some songs that aren’t used for Kamen Rider, so there is a possibility you might like them if you aren’t an existing Kamen Rider fan. but I’d mainly recommend them to people who like Kamen Rider already. elfloat is a 3 member unit formed in 2014 by Blue Forest, a music video company. Their theme is fairies and they generally have that sort of elfin, fairy theme to their look and their presentation. Their first single “Tokioki Mermaid” was released this year and sold over 20,000 copies, but they’ve had some original songs for years as well as music videos, so they have other stuff to check out. They also recently did a solo show at Zepp Tokyo so elfloat is a group on the rise. That said, even after watching several videos I don’t know if I really get it. They seem like a decent group, but I think the biggest disconnect is their stated theme and their actual impact. Musically they seem like they should be doing Armor Girls music – Irish inspired pop, while they have some decent rock music in their repertoire. Their videos are fun (Like a Tinker Bell is kind of goofy and pleasant) but don’t really fit either. Musically I like some songs but after listening to several none really stick with me. The group seems fun but not one that’s particularly memorable. Elfoat is definitely a group to check out if you like rock-inspired idol pop but they don’t do much for me. Electric Ribbon was formed in 2007 though they’ve had several member changes since then, so this year marks Electric Ribbon’s 10th anniversary. They recently added several new members so that this group now has six members, and they recently released their first single with this lineup, “Twinkle in you,” though since this group has such a history they’ve put out several singles before that. Their goal is to have a girly, electric sound, so both electronic and cute/idol. Personally, Electric Ribbon doesn’t particularly excite me all that much, but they do have some solid music – Twinkle in You is good, Eyeline is good. They have some solid upbeat pop music with an electronic flair, to the point where I don’t know why I don’t listen to Electric Ribbon more. They’re a very indie group but since they’ve been around for 10 years at this point I’m not seeing anything to indicate that they’ll be stopping anytime soon. After doing my C-ute review post this is a familiar face! Okai Chisato was one of the members of the Hello!Project group C-ute which just disbanded earlier this year. Chisato over the years got more and more vocal parts and focus to the point where she was a main vocalist in many C-ute songs. While I’m not a huge fan of Chisato’s voice, she gained a big reputation for her vocals. Chisato also has a flair for variety appearances which seemed to be where she was headed post C-ute. That said, appearing at TIF might mean more of a vocal career in her future? Time will tell. But if you were a fan of C-ute, you know who Chisato is. Otome Brave has perhaps my favorite idol group concept / gimmick ever – they’re RPG idols, where each concert they gain experience and level up. I wish that whole concept would shine more in their music and performances (at least the ones that I’m watching on YouTube), but it’s a really cool idea that feels pretty true to form in that performing more does mean they’d gain more experience. Otome Brave has so far released one mini album back in April 2016 so they aren’t a terribly active group in terms of putting out new music. However, what music they do have is pretty solid – nothing extraordinary but Mikansei Braver is very fun and Yakusoudokukekishou, their main track of the mini album, is very catchy. There’s not a huge amount about Otome Brave out there, so it’s hard to follow them internationally, but they seem like a really fun group with a fantastic concept I’d love to see more from. Formed in 2016, On and Go is a group based in Osaka formed of four members who went to the same high school. On and Go is one of the biggest groups I’ve wanted to follow more after last year’s TIF because the clips I saw of them were really fun, however there’s not a whole lot about On and Go online. Earlier this year they released a self titled mini album as their first music release, with two different versions (with all different songs) so they have put out music. Unfortunately, even though the group is a lot of fun they just don’t have much out there for foreign fans or fans not based in Osaka – they currently have two concert videos on the YouTube channel of their agency so you can see why I like them a lot and like their music a lot, but that’s about it. Which is unfortunate because On and Go seems like a lot of fun. If you are OK with investigating a group and not finding a lot I recommend on and Go, but be prepared to be annoyed with how little you find for them. 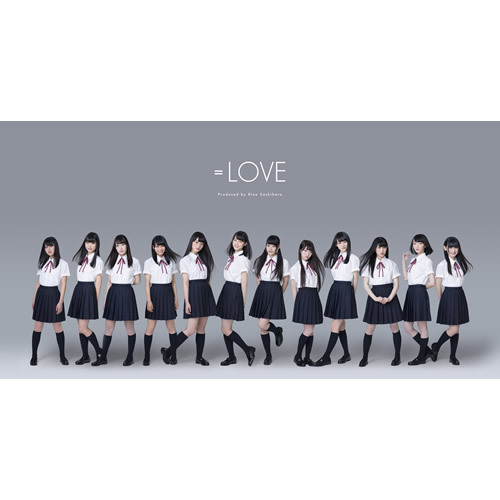 Pronounced “Equals Love,” =LOVE is a group produced by HKT48’s Sashihara Rino.that is aiming to be a group of both seiyuu and idols, working with Yoyogi Animation school. = LOVE is brand new – the member profiles on the = LOVE website were posted in June and the photos were posted just days before this Happy Disco blog post. So if you’re looking for a group at the start, = LOVE could be an option, especially if you’re a fan of Sasshi. Since = LOVE is so new there isn’t much about them out there – the members have done some streams on Showroom but that’s about it for now. So it’s hard to say what sort of music they will do or what kind of an idol group = LOVE will become. But if you want to follow a group from its inception this could be for you. I feel like every time a 48 group pops up I just have to say you either like them or you don’t, and you probably know that by now if you’re reading this blog. SKE48 is the first sister group of AKB48 and is based in Nagoya, Japan. Since SKE’s been kicking around for nearly ten years at this point, they are releasing their 21st single soon and have almost as storied a history as AKB48. There was a while where in my opinion SKE had the best music of all the 48 groups (their singles from 2010 through 2013 are almost all fantastic songs I still listen to regularly), so if you’re looking for a 48 group to follow musically SKE might be a good option. I haven’t been terribly fond of the songs I hear from them recently, though, so I can’t quite tell if they’re still at that level. 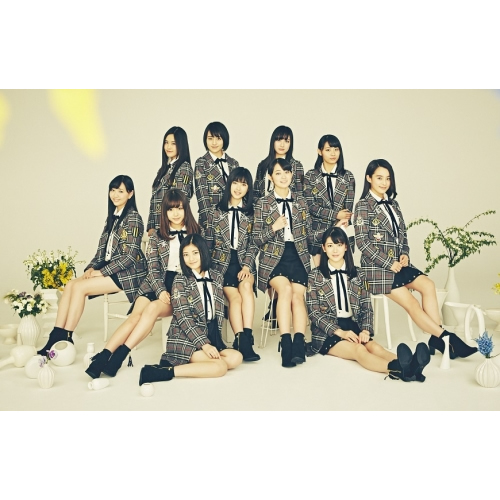 Their single from 2016, Chicken Line, seems to be fairly popular and a lot more interesting than a lot of AKB’s recent singles. Again, if you like SKE you probably know already – I doubt any of the 48 groups will convince you to like them if you dislike the rest. SKE has a big history, though, so if you’re looking for a 48 group that’s not AKB then SKE isn’t a bad option. S★Spicy is a unit that most people aren’t terribly aware of but do have a history. Formed in 2009, it’s a two member unit that’s actually a big sister unit to the other Stardust Promotion groups, so Momoiro Clover Z, Shiritsu Ebisu Chuugaku, etc. The group has had various name changes over the years, starting with S★Spicy, then S★Spicy-1 when they had one member, S★Spicy-2 when a new member was added, and then going back to S★Spicy. That being said, it’s kind of funny because they’ve had just about as many name changes as they have singles. Despite being around since 2009, S★Spicy isn’t prolific, with only five singles and the most recent one being from 2015. That said, they really just keep on kicking year after year, so if you want to follow a Stardust group with some staying power but also is very much and indie group (and seems to be staying that way), S★Spicy could be for you. I also like that both members are older than your average idol. Since they are still relatively indie there’s unfortunately not a lot for S★Spicy out there. That said they are a really fun group and so if you’ve been thinking about getting more into Stardust’s indie idol scene I recommend checking out S★Spicy! Another 48 group! Again, I feel like you probably know if you like 48 groups or not, but STU is a pretty interesting case. For one, they are super brand new – the first generation members were announced in March and they have one original song, so if you’re looking to get into a group from the ground up STU48 might be for you. They also have an interesting idea in that while most 48 groups have a home theater in the city they’re based in, STU48’s theater will be on a cruise ship instead and travel between six different prefectures. Their theater has yet to open, but this will be interesting to see in the future. Ultimately there’s not much to see from STU yet – they have their original song, Setouchi no Koe, and the members tend to frequently do streams on Showroom. Their first single is set for November. Again, if you like the other 48 groups you probably already know if you want to follow STU, but it is always interesting to follow a group from their absolute start, and that’s where they are with STU48 now. OK, more 48 groups, here we go. NGT48 is a newer 48 group based in Niigata. They debuted in 2016 and in 2017 got their first single with Seishun Dokei. Of the three 48 groups in this single post, NGT48 is the middle group – they have nowhere near the experience of SKE48 but have been around for longer than STU48. So they might be a fun place to join in, especially since they already have a single and some songs. Again, you know if you’ll like NGT48. Personally they’re the 48 group I’m most excited about, but that’s mainly because, due to all the graduations from the 48 groups, front girl Kato Minami is possibly my favorite 48 group member. But considering you probably know your feelings about NGT48 already I won’t spend more time on them. Uijin is a four member unit that was formed in December of 2016, so still very new. The group’s concept is centered around a fictitious city of neo tokyo, which is a pretty common name for a futuristic Tokyo in anime and games. They recently released their first full album which includes lyrics written by the members of the group. Their style musically is idol pop with healthy helpings of electro and rock sound. For being such a new group and for not having ties to other groups (as far as I can tell) Uijin seems remarkably good so far – their music is simultaneously interesting, underground idol music but it’s well written and accessible. The members seem like solid performers and their live videos look super fun. If you’re looking to explore more of the underground idol scene, Uijin could be an accessible in. If you’re looking for electronic, futuristic rock with an idol bent, you have some specific tastes but Uijin might be your jam. Their song Meltdown I particularly like (and parts of it remind me a bit of Hangry & Angry’s Reconquista), but their other songs on their channel are good. Since they are so new they don’t have a ton out yet, but you should definitely keep Uijin on your radar. AOP (written as A応P but I’m simplifying it here for my sake) stands for Anime Ouen Project, or Anime Cheer Project, basically a group built around cheering on anime. AOP doesn’t only cheer on anime, with members that like it, though – they’ve been doing theme songs for anime. AOP hit it big in 2016 with doing the opening theme songs for the popular anime Osomatsu-san, which made Zenrokyu Batankyu do very well. Unfortunately their other singles or albums haven’t done quite so well, but they are a fairly prolific group – they’ve put out two singles, a mini album and an album this year and last year they put out an album, a mini album and four singles. So if you like anime music and want a group that’s constantly churning out new stuff, AOP could be up your alley. While last year’s Cotona Mode is an ultimate guilty pleasure of mine (it is pure idol fluff), I haven’t been able to get into AOP much myself. More than anything they come across to me as a less polished i*Ris. Which isn’t a bad thing – most groups don’t achieve the polish of i*Ris and the anime theme is pretty fun. The members seem like fun and some of their music is great – their latest single, Jitensha ni Hana wa Mau is pretty solid and last year’s “Ano ne, Kimi dake ni” is great. But if this group sounds like they’d appeal to you I’d check out both i*Ris and them. AOP is a bit less polished so if that appeals to you more than the highly polished i*Ris I’d check them out. I feel like this needs no explanation, but I’ll give one in case you’re unffamiliar with the AKB48 system. This is the 16th generation of AKB48 members, who passed the audition and debuted as research students late last year at the end of 2016 and will be in training until they debut in a proper AKB team. 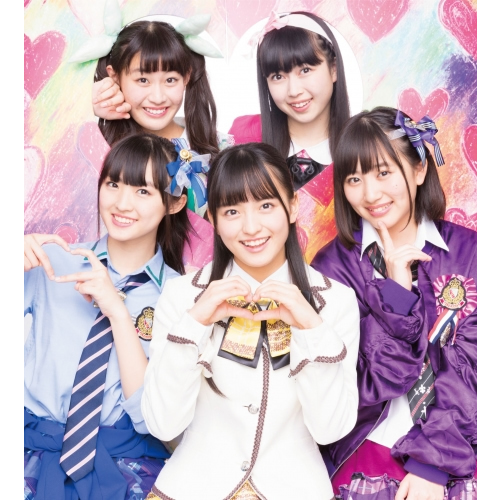 That said, this generation has been doing a lot of performances on their own – they had a big concert on their own at Tokyo Dome City Hall in January and have since performed in the AKB theater on their own as well. I mean, if you’re into AKB you should probably follow them, if you’re not into AKB you won’t. This group isn’t likely to change any minds, but if you’re an existing 48 fan you can follow the future of AKB48 if you check them out. AKB48’s Team 8 is kind of an oddity that I’ve never been quite sure what to make of. Formed in 2014 by an audition for all the members, the concept is that they are comprised of a member from each of Japan’s 47 prefectures (though they currently have 44 members), who aim to travel to each prefecture, where they are idols who will go to meet you. They’re also sponsored by Toyota. So while they’re a part of AKB48 and some of the members of Team 8 are also cocurrently members of other AKB teams, Team 8 is kind of its own thing – a team but not a team in the sense of A, K, B and 4. They’ve so far visited 38 prefectures which is a pretty solid number. Again, if you’re not into AKB48 I doubt Team 8 is going to change your mind, unless their theme or their Toyota sponsorship is somehow really interesting to you. They kind of do their own thing, and I think their theme is clever, but they’re AKB48 at their core. Either you’re interested in that or you’re not. 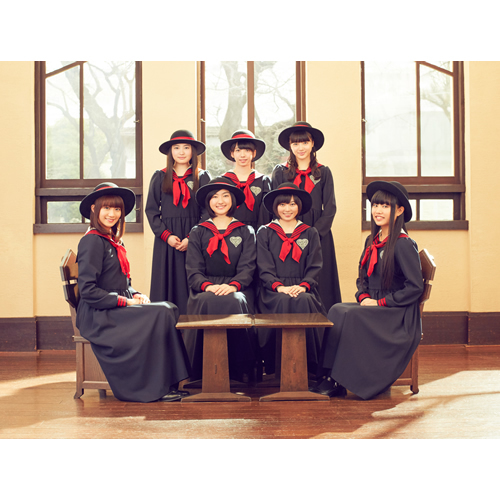 HR is a unit from Fukuoka with their name standing for Hakata Reboot. HR is a bit of an odd duck in that they seemed like they were on the rise but have gone in odd directions – this group has had a LOT of members shuffle in and out over the past years since they’ve debuted in 2010, and while they’ve done some things I don’t think they’ve hit the heights I thought they were. The group made their major debut in 2015 and have since put out four singles, but in many ways I’d say their peak was in their indies days in 2014, with the release of their single “Evolution da,” album release and their subgroup Splash Revolution. That said, their single sales have been solid, so that might be my personal perception. I am interested to see how many members they end up with – they’ve always had a fairly large lineup, so seeing three members be HR is a little weird. Since HR has very recently lost almost all its members, it’s hard to recommend going back to older videos because I don’t know how relevant they will be to future idol fandom. They have some fun, solid idol music – Kimi ni Spark, their first indie single is a favorite of mine and I actually own a physical copy of Evolution Da I like that single so much. Their style is pretty standard idol, so I’d say they’re mainly of interest if you are located in Fukuoka and want to support a really solid local idol in the local scene. I really liked them in years past until my oshimen, Kobayashi Mayu, graduated. They’re a bit hard to follow as a foreign fan, especially as they are victim to region locking, but there’s quite a few fan recordings of their concerts around Fukuoka. I’m a bit conflicted on HR, honestly – there’s a lot to like in their history but it remains to be seen where they go from here. There are now 211 groups confirmed for this year’s Tokyo Idol Festival, which means I have my work cut out for me! Also when I started this post it was 181. God help me. Their name means Idol Intelligence Agency Level 7, and their concept/gimmick is that they are idol spies, which I think is just about the best gimmick I’ve seen from an idol group in a while. 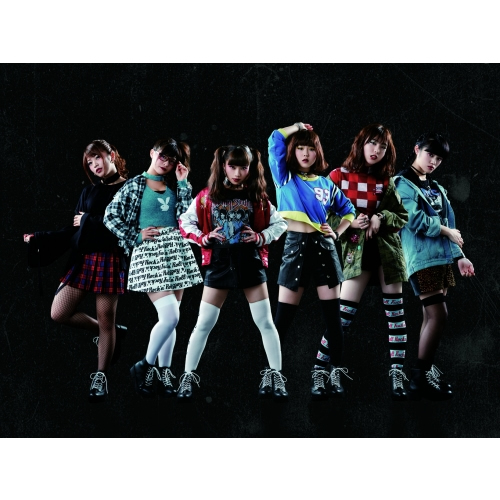 The fans are the “boss” and the members go on “missions” to infiltrate idol activities (variety, gravure photos). Right away I absolutely love this gimmick, and I think it’s super clever. 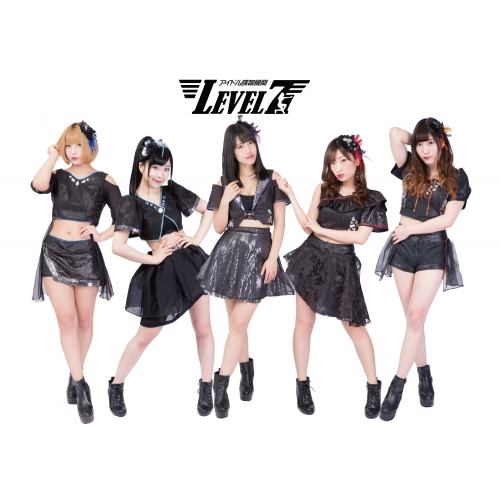 Level 7 (which is their much more commonly used name) was formed in 2014, but they haven’t done all that much yet – while they perform around the Tokyo area, their only website is an Ameba blog, and they’ve so far released two singles officially and one venue-only single. So while this gimmick is great, they don’t have all that much stuff out there. Their YouTube has quite a few long (over 30 minutes) digests of their concerts, so if you’re interested in them that can help. That said, this seems like a tough group to follow for foreign fans. Taking a look at their live videos, though, their music is a lot better than it has a right to be. Their music all has a “cool” feeling to it, not always rock but not being the typical cute idol pop. Strawberry Trap in particular is very catchy, but I also like Taboo and Bravery. So I’d definitely check them out. They’re a small group without much out there but their music is better than it has a right to be and the group has a great energy while performing. 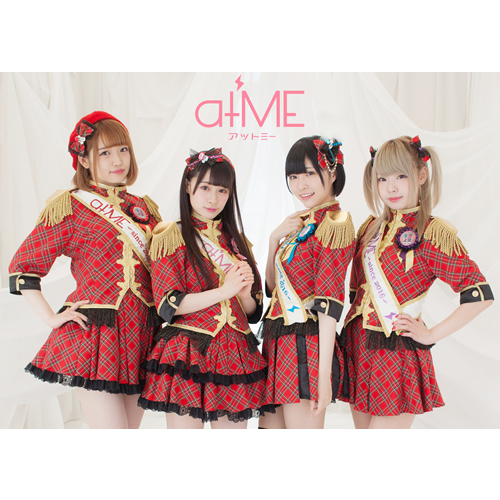 atME is a four member unit that formed in May of 2016 so just about a year ago. They want to promote having strong visual appeal but also strong performances as well. The thing I find interesting, though is the fact that while this is what they say on their TIF profile, on their (not linked) website they specifically point out that they’re a “next generation” idol group aimed at the yutori generation (basically a younger generation seen as getting lenient education), emphasizing them as rebellious and passionate in a way that makes me wonder if I’m missing something from my limited Japanese translation. They don’t have a ton of music or live stuff out, but they seem like a fairly standard idol group with a more hard rock sound than most. Still, their debut song Paralyzer is solid and they seem like the members are pretty talented. I’m not sure how much their next generation theme really does anything, except for influencing some lyrics, so it’s hard to say if this will actually result in much. Their most recent video on their YouTube channel is from August 2016 so they aren’t terribly active, but if you like a rock sound with your idols and have explored more conventional options atME could be something you check out. The first Stardust unit I’ve covered this TIF! Iginari Tohoku San is a unit based in Tohoku and is considered a “Lesson unit” so they’re more of trainees than anything. Formed in 2015, Iginari Tohoku San is very much just getting started. Because of this, there isn’t much – they’ve released one single (another coming in a few weeks) but it’s only for sale at events and at HMV Japan. 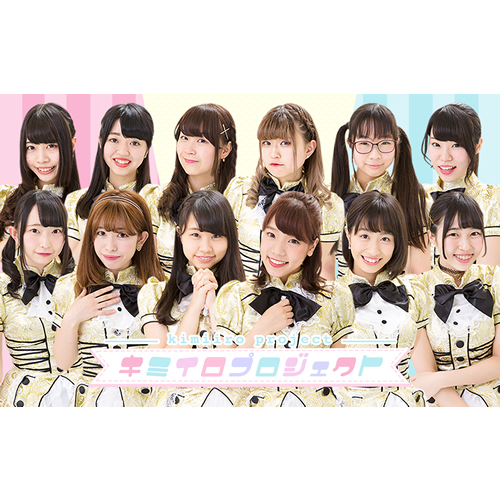 They’ve also released a single with Sakura Ebi’~~s, the Shiritsu Ebisu Chuugaku trainee unit, who they did a concert with as well. That said, since they’re produced by Stardust it’s easy to anticipate that they will grow with time and that their standard of production will be high, so while there isn’t much yet it’s easy to expect they won’t just fizzle out – all of their singles have been released within the last few months. If you’ve been wanting to follow Stardust idols from the start of their career, this is your chance. Like other Stardust groups they’re a ton of fun and energetic, so I am excited to see where Iginari Tohoku San goes! Iketeru Hearts is a sister group to Afilia Saga. Formed in 2014 they were originally trainees with some members being promoted to Afilia Saga before they were all promoted to being full idols in 2015. In 2016 they made their major debut with “Let’s Stand Up,” which was written by Tsunku – so far they’ve put out four singles in total. Their goal is that through their singing, dancing and smiles they’ll make negative people positive. Unfortunately a lot of their videos are region locked, which is a shame for foreign fans. Curiously, the leader of the group, Arata Yuyu, has a YouTube channel that’s pretty active and possibly your best window into Iketeru Hearts if you’re not willing to use something to get around the region lock. Since the group has performed in France and Singapore it does seem like they want to expand internationally, so hopefully their label will work to get their videos out of the region lock. 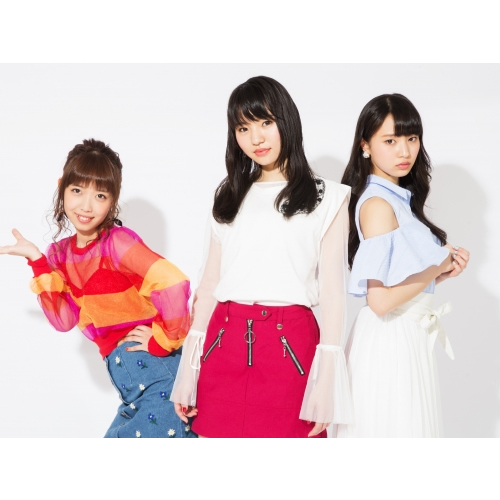 They seem like a pretty fun group – if you like Afilia Saga then you’ll probably like Iketeru Hearts who have a similar vibe, considering they’re sister groups. They’re upbeat and fun, and if you’re interested in a group like this then Arata Yuyu’s YouTube might be a fun look at the group. 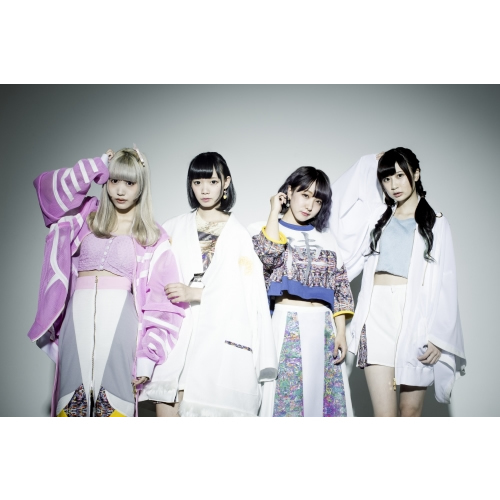 They’re a little tricky to follow as a foreign fan, so they will probably appeal mostly to foreign Afilia Saga fans, but if you like upbeat energetic groups they are definitely ones to check out. I did a serious mental debate as to whether I should post this post or not. I almost had a “well, I’m done with this TIF coverage” moment when I saw this group pop up because I did not want to talk about them at all, but I feel like it would do a disservice to not present the idol industry as it is, warts and all, so here’s the wart – a group I’ll just call Ichigo Milk. To be absolutely fair, this group has a decent amount going for it. 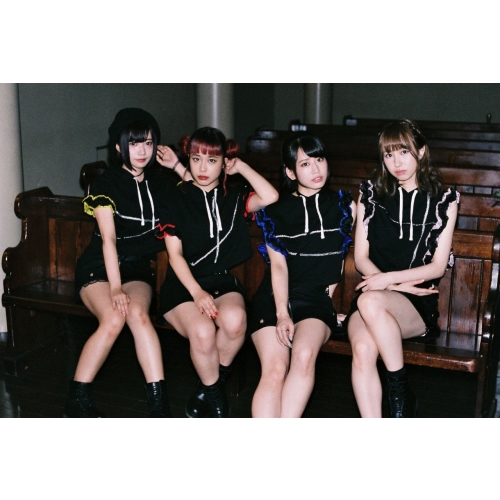 It’s produced by former Otome Shinto leader Takahashi Yurika who created the group and their aim is the Budokan, in part because Otome Shinto never made it there. So in many ways it’s her passion project, which I really enjoy. The group is specifically very girly and pink. Honestly my biggest issue right now are those pacifiers. 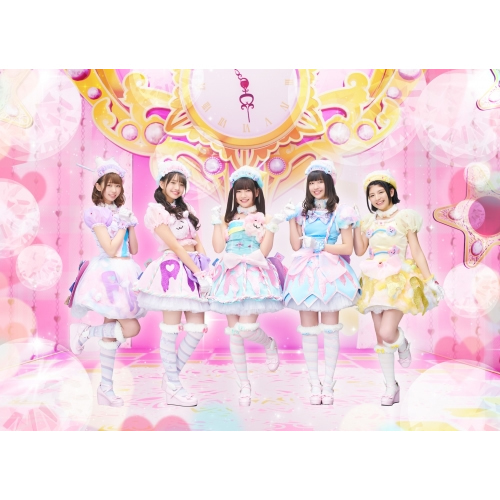 They show up in the group’s promo images and it’s infantilizing and uncomfortable more than most other idol stuff I’ve covered for this blog. Lots of idol groups appear, act or are young, that’s no secret. And while I’m not a huge fan of a lot of this (I wish more groups would take a mature approach), it’s OK to have idol groups to be cutesy and I like stuff like this. This is blatantly taking an idol group and presenting them as infants. And I really don’t like that. It’s not fun or silly, it’s kind of gross in a way. A lot of you may feel like I’m overblowing this, but this is sincerely very offputting to me in a major way, to the point where it made me feel like I didn’t know how much more I wanted to follow TIF or indie idols. Or idols for that matter. And while I’m sure I’ll forget about this group for the most part and go back to liking my other idol groups, right now this is not a great look. For what its worth their first song and video, Lollipop, is solid for the most part. Not great but a catchy enough song and a pretty fun PV until the end. But until they drop this part I can’t in good faith recommend them at all. I took a month to finish my C-ute tribute post but I’m back working on my TIF profiles again! Icle Girls is a local group based in Iwaki in Fukushima that has been active since 2013. While they initially started with more members they currently have six, and their theme is that they’ll carry their smiles and energy to the rest of the country, so even though they are a local group they have nationwide aim. In 2016 they actually won the U.M.U Award, a major award for local idols, which is a huge get for them. That said, they seem to be fairly active in the Iwaki/Fukushima area, appearing on local television and having their own radio program, so they’re definitely a group that’s easier to follow there. They’ve released six singles so far, including their most recent one “Tokusanka ~welcome to Iwaki~ / JyakkanΣ” (a double A-Side), and one album so far. Their most recent singles don’t seem to have any MVs or any specific videos, unfortunately, but their YouTube channel has several full-length concerts or nearly full-length, so it’s very easy to watch their live performances. 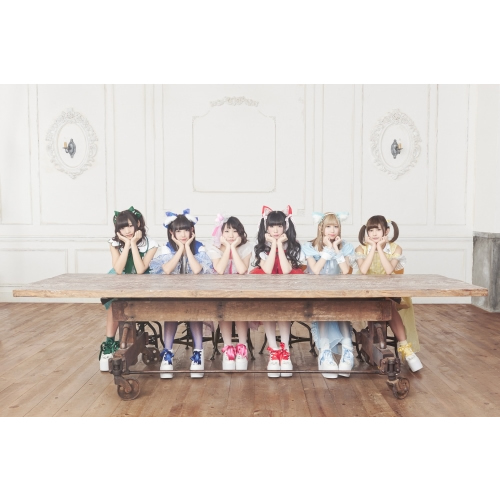 Musically their music seems to be pretty standard cutesy idol pop music – nothing really stood out to me but it’s catchy enough. 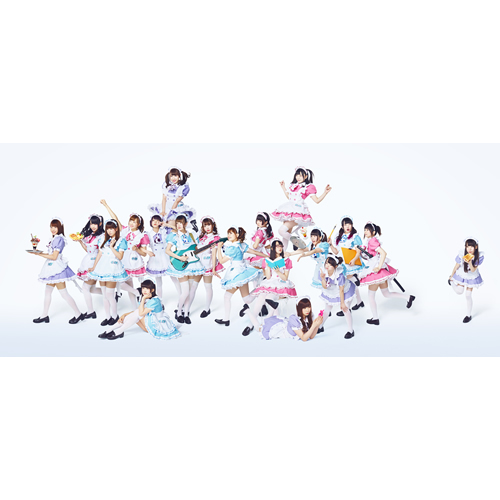 The members seem pretty fun, so if you are located near Iwaki OR want to watch some full length idol concerts I definitely suggest checking out Icle Girls. If not, while I personally prefer other local/ indie groups, if you’re looking for a cute group with some pretty standard idol pop music then maybe check out Icle Girls! I*Ris has consistently been a group I’ve thought should be a bigger deal with foreign idol fans than they are. 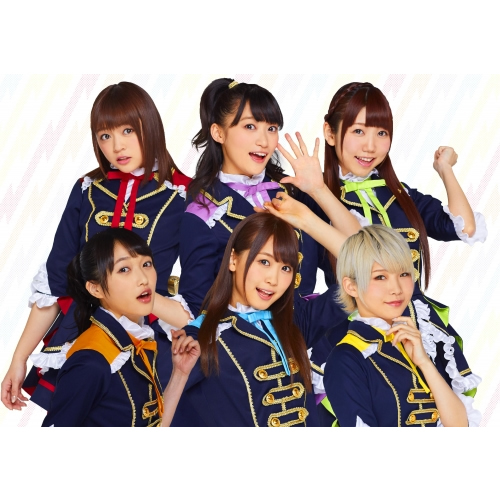 This group is a joint voice acting unit and idol group, with all the members doing various voice acting activities while being an idol unit (they voice act and do songs for PriPara, to give you an idea). The group is produced by Avex, so they have a generally high quality of their music and production – I’d consider i*Ris to be one of the better produced idol groups vocally, so if that’s something you’re interesting then I*Ris is definitely for you. Last year they had their big 4th anniversary concert at the Nippon Budokan and, if the video posted on the Avex YouTube is any indication, it looks like it was well attended. i*Ris is well produced, the members all seem great, so why don’t I follow them more? Honestly, their music doesn’t do that much for me. I mention it every year, but their song Gensoukyoku Wonderland is one of my favorite idol tracks, but a lot of their singles are fairly generic anime songs. Which is fine, I like upbeat generic anime songs just fine, but none of them are particularly catchy or interesting in a way that grabs me. Their music is all pleasant but for the most part kind of same-y, which is kind of a shame. This is very subjective so I think most people should check out i*Ris, but I just wish I liked their music more – they deserve great music. I recommend Gensoukyoku Wonderland and their single Ready Smile is my favorite recent i*Ris track. @17 is the idol group of @Home Cafe, a popular Akihabara Maid Cafe. Last year @17 made their TIF debut – however, this year they reformed in May with 20 new members, so it’s mostly a new group at this point. Their website is totally barebones, no pictures, just reference to the one single they put out last year, so this is really not a group you can check out before going to TIF. Looking at some old performances, it looks like in the past @17 focused on maid outfits and cutesy songs. So if that’s something that interests you then @17 might interest you, or it might interest you if you like maid cafes. Otherwise, there’s pretty much nothing from this group to check out yet. 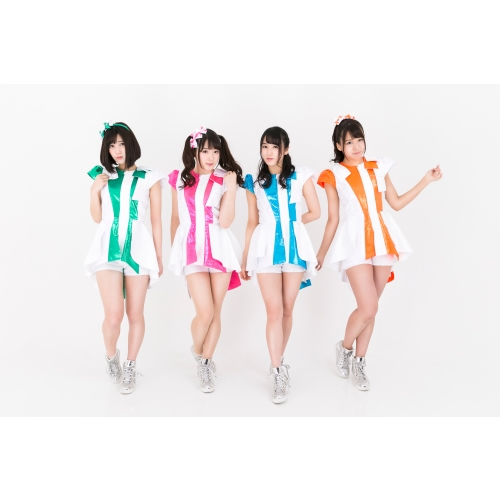 As I mentioned in my Up Up Girls (Kakko Kari) write up, these are the five members added as Up Up Girls (2) (Also known as Up Up Girls Second or Up Up Girls (Kakko Nikki). It was initially announced that Up Up Girls (2) would be the second generation of Up Up Girls but they’re really more like their own thing, albeit also providing back up for Up Up Girls. For example they are back dancers in Up Up Girls’ latest single and appear at Up Up Girls shows in that capacity, but they also perform on their own as their own group. So while they have a closer tie to Up Up Girls than, say, Angerme has to Morning Musume, they’re also somewhat their own thiing. I feel like if you’re an Up Up Girls fan you should like Up Up Girls (2) and if you’re not I’m not sure why you’d bother. The members seem really great, from what I’ve seen – I watched the first appearance of the members and their introductions and they seem like a fun bunch of oddballs. They also have a nice, energetic appeal to them in the way that newbie idols do – they seem genuinely very excited to be singing Up Up Girls standards like Up Up Typhoon. But at this point it doesn’t seem like they have any original songs of their own, so if you disliked Up Up Girls’ music you’re not going to care for Up Up Girls (2). That said, if you like Up Up Girls but have been putting off checking out Up Up Girls (2) for whatever reason, these new members seem like good eggs, and after watching some of their videos I want to follow them more. I’ve been aware of ANNA☆S for years but this is their first TIF, so first profile. 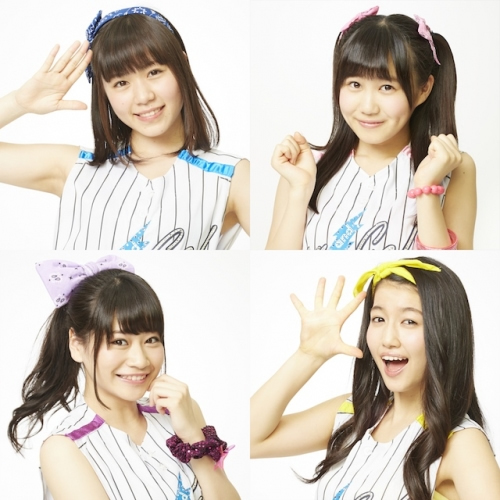 ANNA☆S is a group formed of Anna, Yuna and Suzuka, two sisters (Anna and Yuna) and one childhood friend (Suzuka). They’ve been performing together since 2010 and, as far as I can tell, haven’t had any lineup changes which is pretty impressive. When they perform with Wakita Yoshino, a support member, they perform idol rap songs as the unit Udon Kyoudai. Recently they’ve released some best off albums and started putting out solo music in addition to their music as a group. I really like that the group has been around for so long without any change in lineup – I think this is leads to a great rapport between members, especially considering the members have known each other for years before forming the group. Anna’s voice in particular is very solid, too. Ultimately, for me, there isn’t quite enough there after them being around for 7 years. They have released music, sure, but the music is all just OK – the best song I’ve found is Set Me Free but for the most part their music isn’t great, just pretty straightforward idol pop. I think if anything I’ve mentioned appeals to you you should take a look at ANNA*S, but, while I like the personal ties of the group, they don’t seem to appeal to me. Ueno Yuuka is a soloist under King Records. After winning one of the major awards at King Records Presents Dream Vocal Audition, she begun her career with an immediate major debut with King Records. She recently released her 8th single, Tomodachi Gokko, and has also released an album and a mini album earlier this year, Sweet Dolce. Her singles don’t tend to rank very highly on the oricon (often around the 50 spot on the weekly charts), but her songs have been used for movies, TV shows, and CMs, and Yuuka herself is aiming to be an actress in addition to being a singer, appearing in some movies and TV shows. Musically, Yuuka feels much more of an artist than an idol. She has some beautiful vocals, and a lot of her music reflects how great of a singer she is. She does quite a few ballads, laidback songs, though she has some more upbeat fun stuff. Her music doesn’t really appeal to me, as I’m not a big fan of ballads myself. However, if you are into ballads and like quality female vocalists, Ueno Yuuka is totally someone you should be following. If you’re looking for a more talented idol who feels more like an artist who is starting to do more non-music work, Yuuka is definitely someone you should check out. I feel like if you’re an idol fan you probably know if you like HKT48 or not, and if you’re interested in them you know how to follow them. HKT48 is one of the sister groups of AKB48, the most popular idol group in Japan and one of the many local 48 groups including SKE48, NMB48, NGT48 and STU48 (not even mentioning the international groups). HKT48 is based in Fukuoka and has their theater based there. There are as of right now three teams (Team H, Team KIV and Team TII) that perform in their theater as well as ten trainee members. Like all 48 groups they separate their activity over the various theater performances, TV appearances, radio appearances, singles, and concerts. They just released their latest single, Bagutte Iijan. If it sounds like a lot, it is – there is a lot to pay attention to if you like the 48 groups, and it’s possible to spend a lot of time watching 48 content. Currently, I’m not a huge 48 follower – all of my major favorites have since graduated (my favorite HKT48 member and original AKB48 favorite, Ota Aika, just graduated in April), and I’m not a huge fan of their current music. I also wish that HKT48 would get an original stage for their theater performances. Still, HKT48 tend to be an energetic bunch and one that I liked following when I did – it’s a bit old, but HaKaTa Hyakkaten is one of my favorite 48 TV programs. Their older singles are still very fond for me – both Suki Suki Skip and Melon Juice are two particular favorites of mine. If you’re an international fan and want to get into the 48 groups, it can be a bit tricky as a lot of 48 content is region locked on YouTube. However, there’s a pretty strong international fan community, so if you want to be a fan of a very popular group that has a TON of music and a lot of members, HKT48 isn’t a bad option. Even though I’ve mostly moved on as an idol fan (though I do like Kato Minami in NGT48 and I’m looking forward to the debut of a member in STU48 who used to do dance covers on YouTube), I do miss my 48 fan days – there’s just so much to follow, it can be a lot of fun. I feel like I have to make the same tired joke every year, but no they’re not X-23, the X-Men character, they’re X21. X21 was formed of finalists from the 13th and 14th Japan Bishoujo Contest, a fairly long-running beauty contest there. Formed in 2013, the group made its major debut with Avex in 2014 where they have stayed since. Last year they put out their 9th single, “Kagami no Naka no Parallel Girl” and they just put out their second album, “Beautiful X,” earlier this year. They tend to do OK on the charts (Kagami no Naka no Parallel Girl got #12 on the Oricon Weekly), but not spectacularly so, so they’re still relatively small – they’ve performed some shows at Harajuku Quest Hall which holds about 400 people. That said, despite being a relatively smaller group, they have some great production values and their music is largely pretty great. I think it could be easy to write off X21 as just being about looks, considering their origins, but I recommend you don’t do this as their music is largely fun, polished, and generally well-written. It reminds me of classic 48 group music, in the best possible way. The songs are largely sung in groups of members (solo lines aren’t really a thing with X21), they have a mostly upbeat sound with a lot of polish. I don’t know if I’d say they’re exactly the same (certainly not), but I can see following X21 more to fill that 2008-2011 era of AKB48 that I still miss. The group doesn’t have any of the same gimmicks, but they fill that gap. X21 is a really solid group that I’m honestly surprised isn’t bigger. I don’t know how much I’ll actually end up following them on a regular basis, but they are a really appealing group you should probably check out. Their most recent music has all been great, but if you want another song to listen to last year’s “Yakusoku no Oka” was one of my favorite songs of 2016. 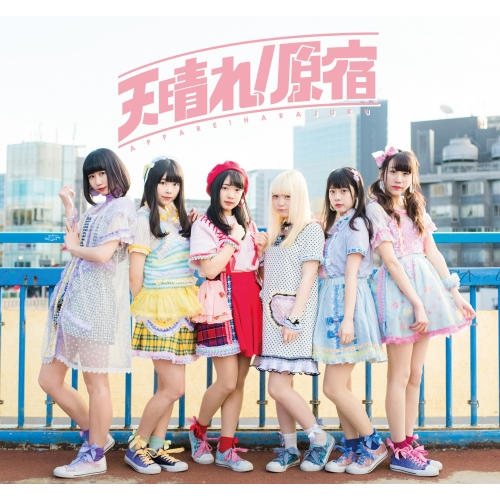 Erabareshi is a subgroup of Bakusute Sotokanda Icchome, which I’ll be talking about later, that performs as a part of the Akihabara Backstage Pass cafe. Since Bakusute is a group comprised of all the employees of said cafe, there are a lot of members. Erabareshi is a group with a static lineup, and as such is a lot easier to remember, especially if you can’t actually go to the Akihabara Backstage Pass cafe, so if you’re interested in that cafe and Bakusute, Erabareshi is a good possibility for you. Formed in 2016, Erabareshi has since released three singles, including the latest being Basket Queen. Unfortunately they’re region blocked on YouTube for me, so if that matters to you it’s pretty tough to follow them. Honestly, following Erabareshi internationally seems pretty tough in general. 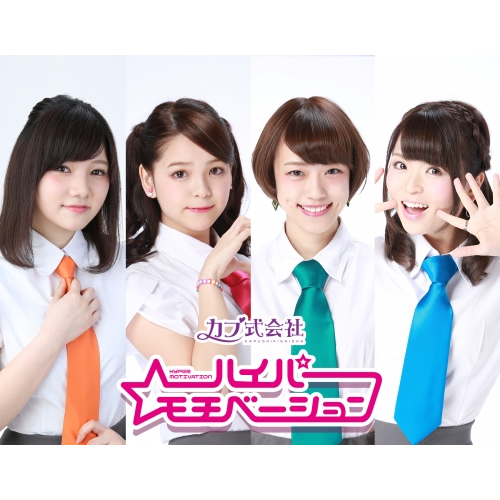 Bakusute and Erabareshi seem like interesting groups to follow if you are interested in idols, living in/near Tokyo, and you have enough money to regularly attend the cafe. If I was in Tokyo I would eat up the entire Bakusute gimmick and would probably frequent that cafe. If that was the case, Erabareshi would appeal to me. However, I feel like while these groups have some good music (I like Bakusute’s two indie singles, Produce and Yoropiku Pikuyoro a lot and Seishun Chronicle is good), so much of the enjoyment would come from going to the cafe. That said, musically their songs are definitely solid. Basket Queen was written by noted Hello!Project producer Tsunku, so if you’er a Tsunku fan in particular checking out Erabareshi could be useful. The B-Side to this was used as a theme song and is particularly catchy. While I personally don’t think that the music distinguishes them enough to put in the effort if you’re not actually based near Tokyo, if you’ve been looking for a way to get into Bakusute then Erabareshi is a good option. Osaka Shunkashuto was known in its indie years for being managed by only one person, Soezimax, who did everything (songwriting, PV, business, etc) relating to Osaka Shunkashuto. While they have moved on from this, now operating under Fujiyama Project Japan, they still have a big selling point which is the quality of performance. Osaka Shunkashuto is GOOD, and while all the members are good the vocals of the lead singer Maina are some of the most powerful, quality vocals in idol music today. They recently released their new single, New Me, after not putting out any new music in 2016. While a lot of people prefer their older music, and I agree that Chameleon Shoujo and C’Mon are their best song, New Me is fantastic and definitely worth checking out if you liked the Soezimax era stuff but have been reluctant to check out their newer stuff. Most of their music is more rock-influenced, but New Me is a bit of a departure, having a bit more of an old-school feel to it. The group is generally pretty fantastic about performing, and while Maina is the lead vocalist all the other members seem really fun too. I haven’t explored this group much more than musically, but if this music sounds up your alley then you should listen to some of their songs. Osaka Shunkashuto is well worth checking out, and I definitely recommend you give some of their music a shot. Appare! Harajuku is a pretty new group joining the TIF lineup. 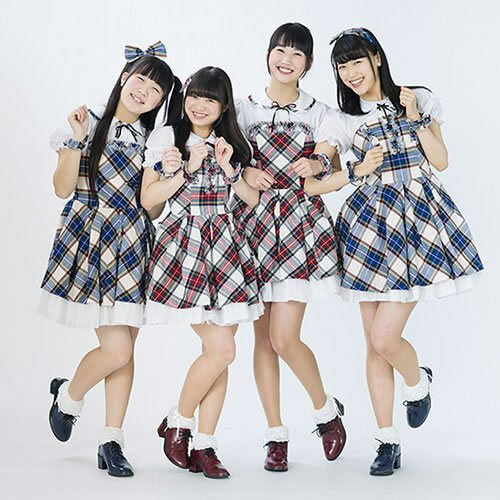 They made their debut in July 2016, so about 10 months ago, and just recently put out their first single, “Kono Saki e.” So if you like following an idol group from the start, Appare! Harajuku should be of interest to you. This six-member unit is, as noted by their group name, based out of Harajuku and as such focuses a lot on Harajuku fashion (every member has their favorite brand listed on the website. If you like the cute fashion of Harajuku, this may be a good group. Honestly, Appare! Harajuku has had a really solid start with their album and single. They have some decent music (though nothing’s particularly excellent, mostly solid), and their performances seem fun. Their YouTube has a lot of performances, and a lot of them seem like they’re a slightly more mellow Dempagumi.inc, in a way. They seem like they’re a fun group and I like a lot of what I’ve heard so far, so if you’re looking for a new group to follow I’d suggest checking out Appare! Harajuku. Another familiar group for following TIF! Afilia Saga was originally Afilia Saga East and they were formed in 2008. All the members are “magic students” that work for the Afilia Group of cafes and restaurants. All the members also have magical sounding stage names like Nana Dorp Bijoux and Raymee Heavenly. They’ve put out 3 albums and 19 singles and have done well for themselves, their most recent singles tending to rank at around #6-8 on the Oricon weekly singles chart. So they’re doing well for themselves. They do anime / video game music, so if you’re into anison then you should already be paying attention to Afilia Saga. Personally, I always wish their singles and videos would do more with the gimmicks they have. Their magic user schtick is a cute idea but they don’t go anywhere near far enough with it. They have one song that I particularly love (Neptune Sagashite, which I still listen to very frequently) but the other songs I’ve heard have been pretty middling and haven’t done all that much for me, personally. That said, they do have a very anison sound / aesthetic, so if that’s your thing and you aren’t following Afilia Saga I suggest you check them out. Unfortunately their YouTube activity is region locked but some videos are still available elsewhere. They aren’t the easiest group to follow abroad, but if they sound like they’d be up your alley you should try to find some of their stuff. amiinA is a group of two girls, Ami and Miyu. The group was formed in 2012 and named after the two members at the time, Ami and Miina, but Miina left in early 2016 and Miyu joined shortly afterwards. So the name is now an acronym (awake mind into ideal naked Avalon) rather than being a combination of names. Since this they’ve put out their 4th single, their first album, and this year will bring their first mini-album. So while Ami and the group have been working pretty steadily since 2012, 2016 is when they’ve started to pick up some speed and momentum. They’ve also, interestingly enough, released a version of their first album, Avalon, that’s just an instrumental version and they’re releasing a 12-inch LP later this year too. Before writing this post I had never heard of amiinA and was ready to spend about 10-15 minutes researching them and forget about them. But man, groups like amiinA are the reason I absolutely love doing these TIF posts, because I’m so glad I’ve heard of them now. Above all else, their music is fantastic.Their summary on the TIF website mentions they do post rock and electronica influence in their music, but while they do some genre bending I think that sells short just how high quality their music is. Their first album, Avalon, is available on US iTunes so I’ve listened to most of that so far and it’s all interesting and all just great. Beyond that, watching some of these videos, Ami and Miyu seem to both have a flair for performance which makes their concerts look like a ton of fun. Their music isn’t terribly idol-y. If you want your idols to mostly do pure idol music, amiinA might not be for you. But if you like good music, you should definitely give amiinA a shot. They are just fantastic, and are now immediately going on the list of groups I follow just because of how much I love this music. 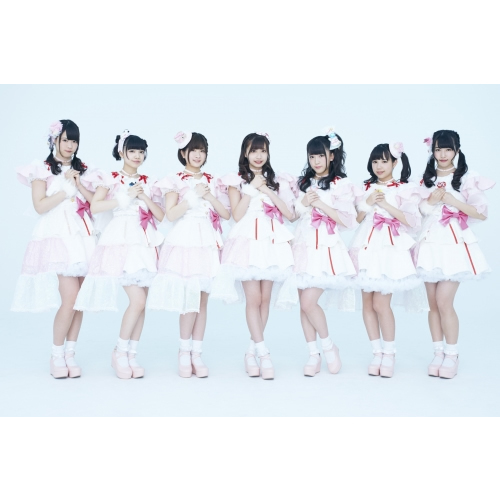 Ange Reve is a group from the Arc Jewel agency that produces idol groups like Lovely Doll, Doll Elements, Luce Twinkle Wink, etc. The group’s name means Angel Dream, and currently has seven members, growing from previous numbers. Their big goal was a major debut, which they have achieved as Pony Canyon is their new major label. 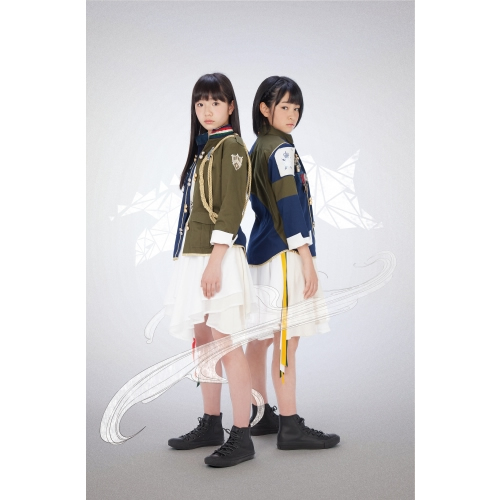 Since moving to Pony Canyon they have released three DVD singles, the most recent being “Colorful,” and just this past week put out a mini-album, Lumiere, which has two different versions that have completely different setlist. So they’ve been busy, and slowly climbing up the charts. At this point I’ve mostly been familiar with their indies singles, as both Yuukan na Koi no Serenade and Kiss Me Happy are particular favorites of mine. I don’t think their major debut songs are quite as catchy, but they’re still really fun, upbeat idol songs. Stare is particularly good, and the new songs they’ve previewed off of Lumiere are fun too. Personally, I don’t love their music enough to go seek out both versions of Lumiere, but that being said if you like idols doing the cutesiest of cute idol music, Ange Reve is probably a good choice. All the members seem fun, so if this is your favorite type of idol music I recommend Ange Reve. I feel weirdly proud of Ayumikurikamaki. Formed in 2012 as just Kurikamaki, they first went to TIF when they were just formed by themselves and putting out videos of them in one of their bedrooms, and now they’ve gone legit. The group originally formed as a DJ unit where they performed wearing bear costumes, but added Ayumi, a singer, and have since done away with the bear costumes. Since their formation they’ve done well for themselves – their music is distributed by SME, they put out an album last year, and regularly put out singles. While I tend to favor their single “Jet Kuma Star,” their music I’ve all heard is all solidly produced. Despite its origins DJing, it’s not a hip-hop unit – instead their music is mostly solidly – rock inspired. That said, it’s all really solid music, and I definitely recommend checking them out if you like solid idol music with a rock twinge. While they don’t do too much with the DJ thing anymore, at least from what I know of their videos (Kurika DJs but steps out from behind the booth pretty frequently), their music is solid and their live shows look like a ton of fun. I’d definitely check them out if you like rock music or you just want to go to what looks like a good live show. Their newest single, “Gomas Slipper” (or is it “Gomas Ripper?” I’ve seen it both ways) is pretty fantastic.